At least one person dead following crash in the Kern River Canyon along Highway 178. BAKERSFIELD, Calif. — UPDATE: As of 6:40 p.m., all lanes in the Kern River Canyon are open. UPDATE: As of 4:30 p.m., CHP reports one lane is open to alternate east-bound and west-bound traffic. 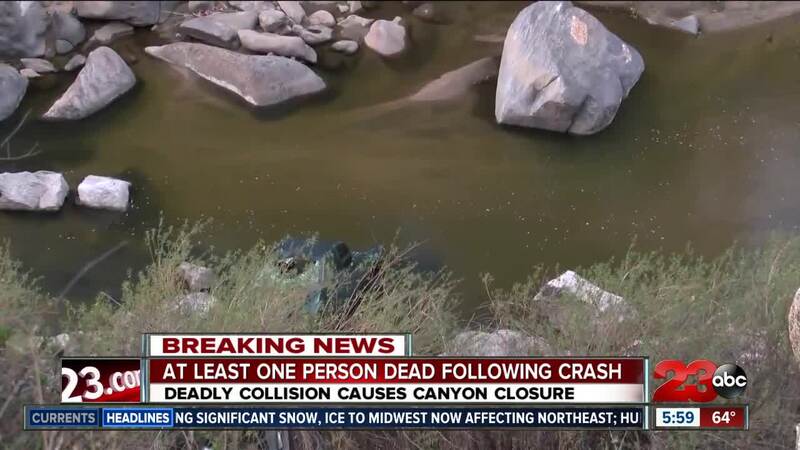 The Kern River Canyon is closed following a deadly crash, Sunday morning. Just before 1 p.m., the California Highway Patrol responded to a crash near the mouth of the canyon. CHP said the driver was ejected from his car and died on scene. He was the only occupant in the car. CHP is still investigating if this crash is tied to a Bakersfield man that was reported missing earlier this week. We will update with more information as soon as it becomes available.